Product prices and availability are accurate as of 2019-04-13 14:03:38 EDT and are subject to change. Any price and availability information displayed on http://www.amazon.com/ at the time of purchase will apply to the purchase of this product. 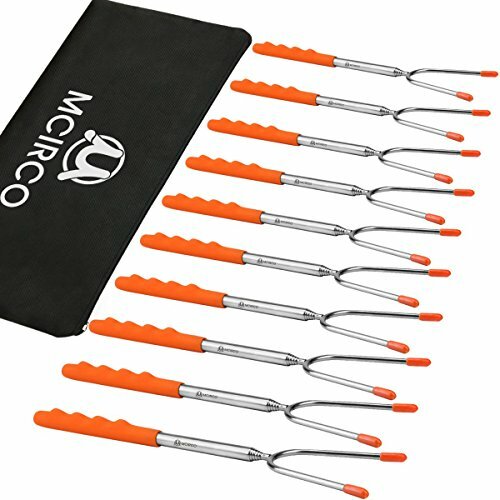 SET OF 10PCS PREMIUM QUALITY MARSHMALLOW STICKS MCIRCO Marshmallow Roasting Sticks are made from FDA APPROVED Non-Toxic STAINLESS STEEL to ensure safe roasting. The comfortable rubber handle with finger indents gives you a firm, steady grip. 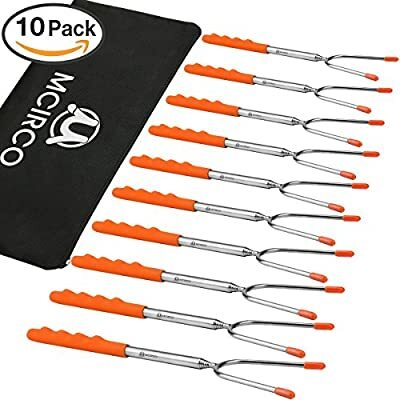 SET OF 10PCS PREMIUM QUALITY MARSHMALLOW STICKS: MCIRCO Marshmallow Roasting Sticks are made from FDA APPROVED Non-Toxic STAINLESS STEEL to ensure safe roasting.The comfortable rubber handle with finger indents gives you a firm, steady grip. 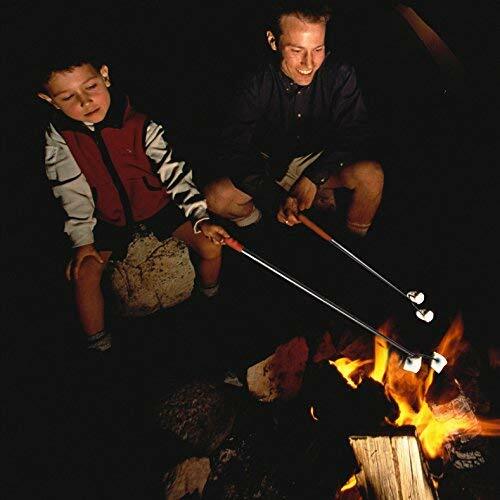 SAFE FOR BOTH ADULTS AND CHILDREN: 45" Extra Long Extendable design forks keep you and kids at a safer distance away from any campfire, patio fire pit, backyard firepit, barbecue grill, bonfire. Both prongs come with protective rubber cover to make it safe to use for children and adults. 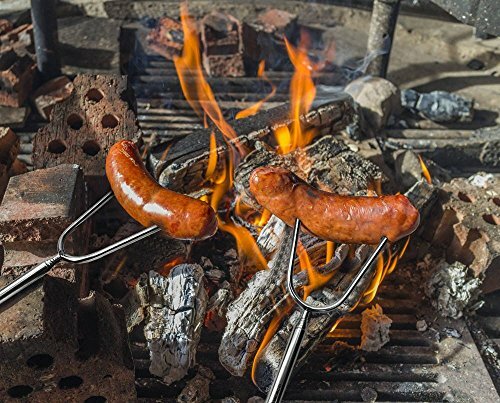 EASY CLEANING AND STORAGE: A must have for BBQ to make perfect marshmallows, smores, sausages, wieners, hot dogs, vegetables and fruits.Retracting design to 10 inches to make easy storage with the zipper sealed storage bag.Stainless steel material make it easy to wash with soap and water. THE BEST COOWARE AND PERFECT GIFT: 10 PCS marshmallow sticks set is the best choice for anyone looking for a high quality, great value product to enjoy at the cookout with the people you love. LIFETIME GUARANTEE: If you are not 100% satisfied with our utensils and if they don't meet your satisfactions, please feel free to contact our customer service. We will provide the best solution to refund or resend within 24 hours.